It’s that time of year again, Apple released the their newest tech at their annual San Francisco Conference on Sept. 7. 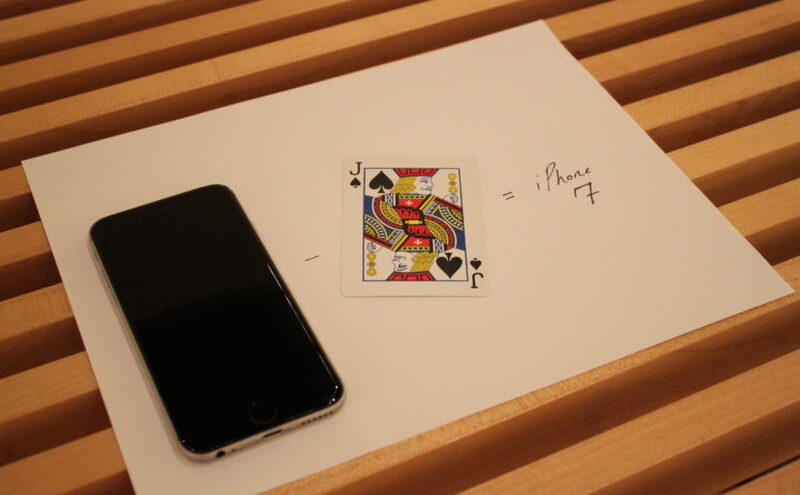 This year, Tim Cook had the honor of introducing the most controversial iPhone yet. People have had the newest iPhone on their radar for some time. As more time passed, more information was revealed. But no one expected the biggest shock to iPhone users: the beloved headphone jack is going to be removed. Like he does every year, Cook went over the appearance of the iPhone and explained speakers will replace the headphone jack. He continued by saying the absence of the headphone jack was a new type of technology. Instead of adding their characteristic white headphones to the box, Apple decided to pack a dongle that will allow you to plug in your headphones to your iPhone through the lightning port. Apple also introduced a new innovation: Bluetooth headphones, removing tangled chords from Apple users lives. A little less controversial, Cook also announced the iPhone 7 will have a better camera, longer battery life and brighter colors. But the thing that really got people talking was the newest iOS. iOS 10 makes any iPhone (from the iPhone 5 to the most recent iPhone 6) feel like the newest iPhone ever. It gives your phone a fresh feel. Modifications with iOS 10 include Siri, the music app, messenger and more. The iOS 10 has improved your personal assistant. Siri will now open apps and perform actions inside the apps. The music app has also been refreshed. The app will allow you to listen to music and look at the lyrics at the same time. Messages has also gotten an upgrade. You can now hand write messages to make it more personal. You can also change the way your message bubble appears and add an effect that can appear around the whole screen. New emojis were also released, with the option to automatically exchange words with their emoji counterparts. Notifications have changed appearance to look better and they have a more improved feel. You can now see and take pictures and record video all from the notifications tab. There are also a lot more options available with 3D touch. The biggest change with iOS 10 is the lock and unlock feature. Instead of sliding left to right to unlock, you now scan your fingerprint or press the home button and put in your password to unlock your phone. This lets you interact with the widgets more with 3D touch. The era of swiping to unlock is over. Hello, press home to open.